America has a big income inequality problem. 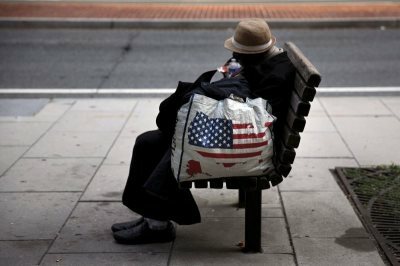 AFRICANGLOBE – A staggering 81 percent of US households saw “flat” or “falling” incomes over the past decade, suggesting that the country’s younger generation may end up poorer than their parents. Other advanced economies also showed distressing figures. The research, conducted by McKinsey Global Institute (MGI) and published on Thursday, saw the US placing second on the list of advanced economies which saw flat or falling incomes between 2005 and 2014. Italy topped the list, with just three percent of households experiencing a growth in income. The United Kingdom and the Netherlands tied for third place, with 70 percent of households experiencing flat or falling incomes. Next on the list were France (63%) and Sweden (20%). A weighted average of the 25 wealthiest countries found that 65-70 percent of households saw no rise in their wages or capital income. That figure represents a total of 540-580 million people who are not getting any richer. The economic situation has affected the way many of those with flat or falling incomes view the global economic system, with a “significant number” stating that they have lost faith in aspects of it. In addition, nearly one-third of those who are not advancing said they expect their children to also advance more slowly in the future. They also expressed negative views about free trade and immigration. If such low economic growth continues, the average proportion of advanced economy households with flat or falling incomes could rise as high as 70 or 80 percent over the next decade, according to the research. The research did, however, mention some encouraging news, stating that it is possible to reduce the number of people who are not advancing economically. “Labor market practices can make a difference, as can government taxes and transfers – although the latter may not be sustainable at a time when many governments have high debt levels,” the research states. Previous articleSouth Sudan: Who Is Arming TRAITOR Riek Machar?